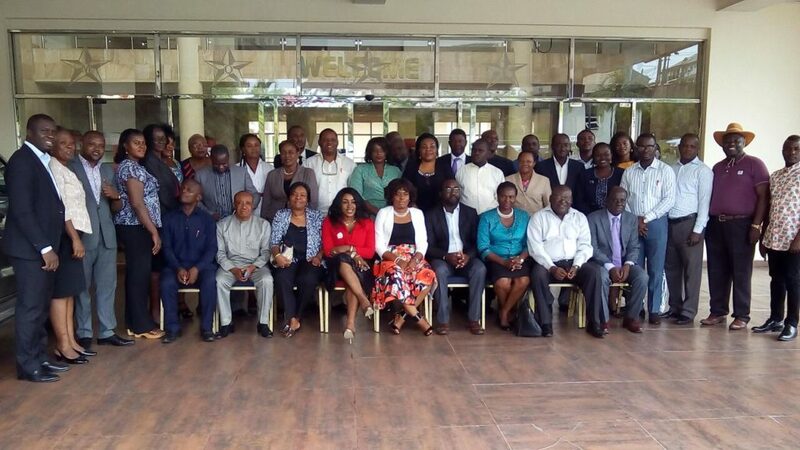 As a follow up to the Health Care Financing Training Workshop held late June, 2016, the Health Finance and Governance (HFG) project organized a one day stakeholders meeting on health financing core analytics in Cross River state on July 12. The health financing core analytics activity includes a situation analysis of the state’s health financing system and an assessment of the existing system relative to the goal of universal health coverage (UHC). Building on the roadmap developed previously, the purpose of the meeting was to bring together all Cross River state stakeholders on health care financing and create a platform for continuous effective engagement. The Honorable Commissioner of Health for Cross River State, Dr. Inyang Asibong opened the meeting. In her remarks, she expressed the state’s desire to reduce out of pocket expenditure for its citizens to the lowest possible minimum, by embracing a State Health Insurance Scheme (SHIS). In her presentation on mainstreaming SHIS in Cross River State, Dr. Inyang indicated Cross River State’s readiness to implement a health care financing policy. HFG’s Cross River State Programme Coordinator, Mr. Ibiam Azu presented the workshop objectives, noting that the workshop provided an opportunity to seek buy-in from the stakeholders present, and to set the stage for data-source identification given commitment from the various institutions that house the data. The workshop acquainted stakeholders with the Cross River State vision for health financing reform and the roadmap for achieving the reform. Dr. Sylvester Akande, HFG’s Senior Health Finance Advisor for Nigeria, delivered an overview presentation on health care financing and UHC. In the presentation, he stressed the importance of inter-sectoral collaboration and state ownership from all stakeholders. Cross River State Ministry of Health Director of Administration, Elder Omini Ubagan, closed the day and reiterated Cross River State’s commitment to implementing SHIS. Participants unanimously agreed on the importance of the establishment of the Cross River SHIS, and that the provision of quality data to inform the core analytics activity is crucial. The core analytics will guide the development of an effective health care financing policy and feasible strategies for the establishment of the Cross River SHIS.